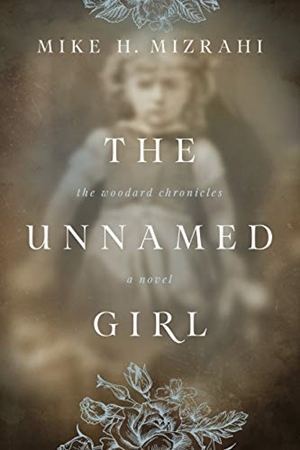 Indie Author Interview with Mike H. Mizrahi - Author of the Historical Fiction Novel The Unnamed Girl. Mike H. Mizrahi's first historical novel, The Great Chattanooga Bicycle Race, was published in 2017. His upcoming projects include a book of short stories entitled The Power of Yes, and a novella about the harshness of life in war-torn Congo entitled Kabirizi’s Revenge. 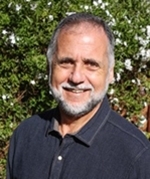 Mike H. Mizrahi: I’ve been writing since I was a kid (a long, long time ago!). Songs, mostly, which I still do. I earned a degree in journalism and worked as a reporter and magazine writer for a while, then turned my communications skills to corporate arena. Along the way, I toyed with the idea of writing fiction but never dove in. Five years ago I was smitten by the bug and haven’t stopped. After reading my first James Mitchner novel, The Source. Seeing my first bylined story printed in my high school newspaper sealed the deal. The first story I remember came as a reporter on a community chain of newspapers. It was about the drug Antabuse, a potent drug for alcoholics that produces unpleasant side effects when combined with alcohol. My wife and I were watching the evening TV newscast a few nights after my story appeared and saw an on-camera reporter filing his story based on my reporting. A badge of honor! "I set time goals, not words per day goals." Early mornings are best for me. I start with a devotion time and hot coffee, and then transition to my desk. My writing buddy (my 15-year-old cat) quickly joins me in her fluffy desk bed by my keyboard. A bit of feline inspiration always helps. I set time goals, not words per day goals. My max is four hours a day. Any longer, and the Walter Mitty in me daydreams the scene(s) for the rest of the day and I lose track of the here and now. So…I try to keep my Mitty in check. Work-life balance is important for me. In the evening, I’ll take a pass at what I wrote that day and make some quick edits before turning the lights out. I also plan certain days off. Actually, my office is in storage while we build our new home in Poulsbo, WA. We’re currently living in an 850-square-foot apartment on my best friend’s picturesque five-acre property. My desk is a built-in shelf in a small cubbyhole. My computer is surrounded by small mementos, organizers, and scattered papers. And, of course, Kiki’s (my cat) bed sits to my right side. A few feet away are several windows that offer spectacular views of the property and the Olympic Mountains beyond. Very cozy! "I believe we were made to be creative beings." Two things: discovering and creating. Research is critical for historical fiction writers. When I discover that missing link or site or historical tidbit in my story, it’s a feeling of ahh. Likewise, the process of creating a short story or a novel brings me deep joy because I believe we were made to be creative beings. The development of interesting characters and bringing them to life through story stimulates and expands my imagination. It’s my avenue of creativity. Writing is just plain fun! Mike, please tell us a little about your Historical Fiction Novel The Unnamed Girl. It’s a quest with twists and turns that take the reader from the battlefields of Virginia to a Union prison in the Sandusky Bay of Lake Erie. And then to the small Southern Ohio town of Ripley on the banks of the Ohio River, one of the pathways for the Underground Railroad. A battle-weary Confederate private, Jonathan Woodard, finds a photograph of a young girl near the dead body of a soldier he assumes is her father. The image sustains him, like locks of hair and photos and letters and Bibles that help most soldiers to survive the ravages of war with something of their humanity intact. His spirit compels him to return the photograph to the family. For their closure. For his own. The quest leads him to Rebecca Johnston, an abolitionist and Underground Railroad conductor who offers to help him. The most unlikely of loves develops. But a lie must be confessed and be made right. Will that love survive? I was internet hopping like I often do for ideas, and I ran across some newspaper articles written about a series of mysterious Civil War photographs. The Museum of the Confederacy was trying to identify the subjects of these photos, so they blasted them out to the media nationwide. One of these images, a sweet young girl, was the inspiration for my fictional "unnamed girl” character. There was a story attached to this photo. In the media release, the museum included the photo of a Confederate soldier who had found the image of the girl after the battle of Port Republic, Virginia in 1862. He kept it until his death, after which his family donated the ambrotype to the museum. The Unnamed Girl tells the fictional story of what happened after the soldier found the photo. "Readers who aren’t afraid to dive into a novel that combines romance and action [...]"
So many of the soldiers in this cruel war suffered from what we now call Post Traumatic Stress Syndrome. A small link with their former world was all they had to cling to. The real private who found the little girl’s photo kept it throughout the rest of his life. The item must have held some special meaning for him. Who knows? Maybe that photo saw him through the remainder of the war, like it did for my character, Private Woodard. How would you describe the success of your self-published books so far? I’m in the process of building my audience. I’ve yet to meet a self-published author who’s completely satisfied with the pace of this task. Slow and steady! Readers are enjoying my stories. "Write. Then write some more. And then some more." Write. Then write some more. And then some more. Don’t give way to discouragement or self-doubt. To become a writer is to engage a passion. Feed it with words. Write every day, and then be brave. Let others read your work. Finally, learn the craft, fiction or non-fiction. I plan to release two new books in 2019. In early spring, a book of short stories (with the working title of The Power of Yes). Then in the summer, a novella entitled Kabirizi’s Revenge. The novella is a break from my normal genre of historical fiction. A young woman receives word that her father is dying in her home country. So she travels back to the Democratic Republic of Congo with her boyfriend to see him one more time, but gets kidnapped in a rebel attack. Her boyfriend and an old Congolese friend mount a rescue attempt deep in the Virunga Mountains. "[...] still enjoy the feel of paper books in their hands." Certainly the ebook market will continue to grow. But millions of people still enjoy the feel of paper books in their hands. I suspect they’ll continue to buy paperbacks well into the future. They’re easy to buy and receive, and online publishing has been made easy for authors. Now book stores…? Sadly, that’s another story. I prefer to read novels on my iPad, non-fiction with a good old fashioned book in my hands. I retired after a 35-year-corporate career in public relations/communications. So writing is my passion. But when I’m not…? My wife and I love to hike on the beautiful trails of Washington State. I play the guitar and write songs. And, we enjoy volunteer activities in the community and through our church. Visit me at mikehmizrahi.com. I’d love to stay connected and hope readers will join my special e-mail list when they visit my website. Thank you very much for the Interview, Mike. When Confederate Private Jonathan “Woody” Woodard scours the battlefield of Port Republic, Virginia, an innocent voice beckons him. He picks up a gold-cased ambrotype and gazes at the image of a little girl. Over time, the photograph becomes Woody’s only respite from the nighttime demons of war that torture him. His permanent renewal is somehow dependent upon returning the gold case to the family of the dead bluecoat, whose haversack yields its treasure when he hits the ground. Woody is captured, and months later a prison escape during a North Ohio blizzard claims his foot. The quest to find the girl begins. Woody enlists the help of the widow Rebecca Johnston in exchange for free labor around her Southern Ohio farm. He soon learns she is an abolitionist and conductor on the Underground Railroad. Complications arise: love enters the equation, but an insurmountable lie stands between them. Does Woody come clean with his secret? Will he put his search on hold to help Rebecca rescue a freedman and his son, sent to Lumpkin’s notorious slave jail in Richmond through the Reverse Underground Railroad?